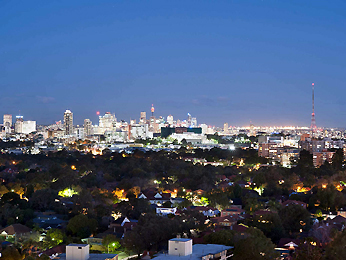 Located in the northern suburbs of Sydney, Chatswood is a vibrant, and dynamic city that is convenient for business and leisure travelers alike. With great access to Sydney CBD and the rest of the northern suburbs, Chatswood boasts two major shopping centres, Westfield Chatswood and Chatswood Chase, both of which stock a wide array of retail, food and specialty shops. Take yourself on a culinary adventure to recharge the batteries after a big day of shopping, and select your cuisine of choice, from delectable Japanese to Middle Eastern treats and traditional pubs. Chatswood is also home to The Concourse, a relatively new addition to the suburb consisting of a library, concert hall, theatre, and exhibition space. Feel welcome at one of the hotels offered by AccorHotels and our partners in Chatswood. Discover our selection of luxury to budget hotels in Chatswood for your next business trip, family holiday or weekend break.